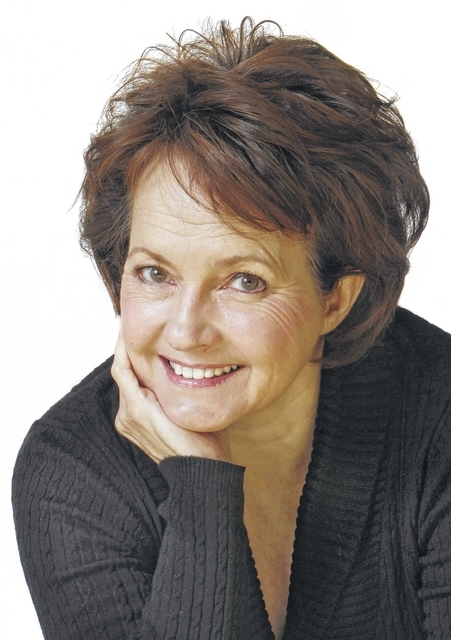 Lori Borgman: Did I Dippity Do? Sure did! My hairstylist told me something frightening. She said bangs are making a big comeback. Not little wispy bangs and not the swept-to-the-side bangs, but thick straight bangs — the kind that can obscure your vision, scratch your corneas and make eye contact completely discretionary. The dreams of my youth have returned. I spent years pursuing thick fringe bangs. Everybody who was anybody had bangs — a curtain of straight, thick hair that hid their eyebrows and framed their eyes like a luxurious theater curtain. My bangs were like a curtain of sorts, too — like an old spring-loaded roller shade. As soon as I combed them down, they sprang right back up. Girls with thick, straight fashionable bangs were going places. The only place I was going was to the drugstore. Every dollar of babysitting money was spent on hair products guaranteed to transform untamed curly hair into thick long, beautiful shocks of straight hair. Dippity Doo was my first hope. Following the directions, I applied it to wet bangs and waited until they dried. It turns out that Dippity Doo was part wallpaper paste. It straightened my bangs, but they were so plastered against my forehead that it looked like large spiders had been smashed directly above my eyes. My next great hope was magic tape. You combed wet bangs into place and taped them down, affixing the tape to the sides of your forehead before you went to bed. Yes, it did hurt when it came off. Yes, it did leave skin red and irritated. Yes, it was the price of beauty. When the tape failed, I tried wrapping my hair around empty tin cans. Sleep was nearly impossible, and I was forever smelling green beans. All this was before the days of straight irons. But there was another iron. It was the iron my mother used on clothes. I’d heard talk in gym class of girls ironing their hair. Cautiously — not to mention foolishly — I set the iron on low, sectioned a piece of hair on the ironing board and pressed. It’s not easy to see what you’re ironing when your face is smashed against an ironing board, but the first section felt smooth and straight so I ironed another and another. With each glide of the iron, I just knew I was inching closer to true beauty. I stood up and walked to a mirror. My bangs were straighter than they’d ever been. Unfortunately, they stuck out at a 90-degree angle. I had created a human hair visor. I was wrong about the gel, the tape, tin cans and the iron. I was also wrong thinking my parents would not notice something odd about my hair visor at dinner. As frightening as it is to hear that bangs are back in style, I believe that I now have the maturity to let a trend pass without me. Besides, there is comfort in knowing it could always be worse. At least shoulder pads aren’t returning.